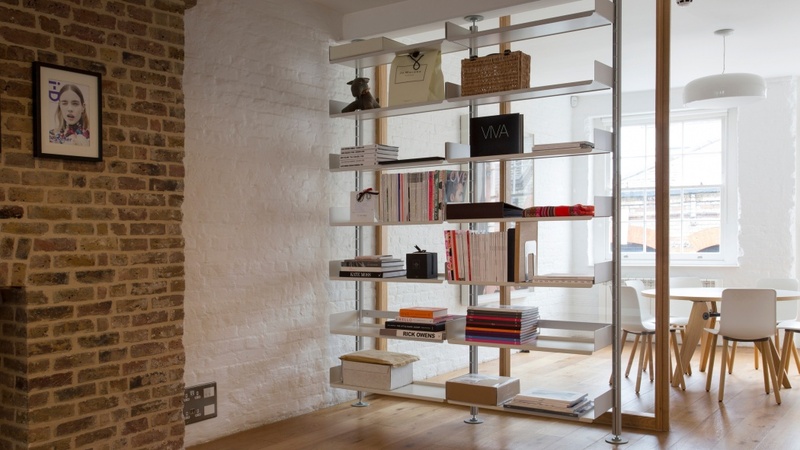 The core of the shelving system is the aluminium E-Track and pin. 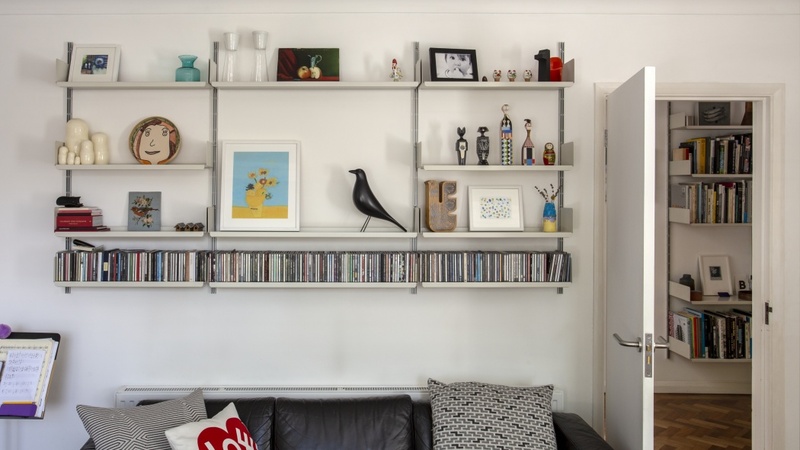 Shelves, cabinets and tables are simply hung from E-Tracks by slipping the clever notched pins into position – using no tools. There are two bay sizes – narrow (26¼”) and wide (35⅞”) – which combine to conform to almost any available space. For example, there are 27 possible bay combinations for a 16ft wide wall. Shelves have a usable width of 26” and 35½”. 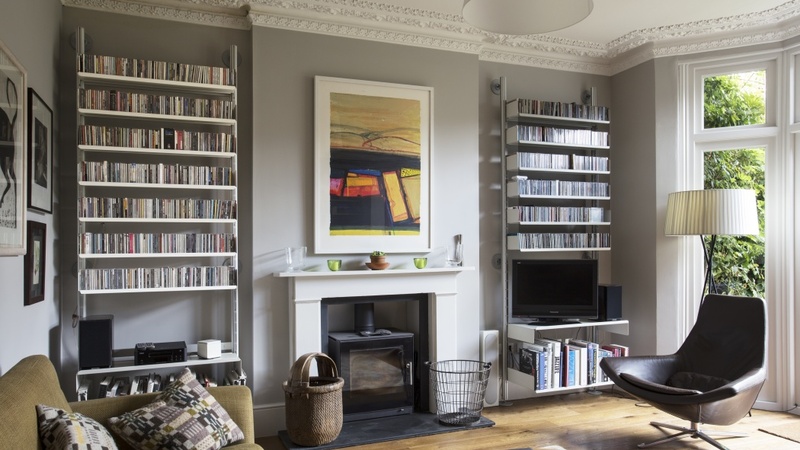 An experienced member of the Vitsœ planning team will help you plan the best configuration of bay widths to fit your wall and give advice regarding your wall and the loading of your shelving system. Simple, strong and good value – the E-Track is attached directly to your wall. Whether your wall is plasterboard or solid, we supply the correct fixings for you. Attaching the E-Track to the X-Post allows obstructed or uneven walls to be used via an adjustable-depth wall bracket. Walls not required. The X-Post can also be compressed between suitable floors and ceilings. Made from anodised aluminium, E-Tracks come in several standard sizes. For a single shelf only. The shelf is level with top and bottom of the E-Track. Light loading only, please. A cabinet is level with top and bottom of the E-Track. Creates the appearance of a floating cabinet. The aluminium X-Post allows E-Tracks to be supported away from the wall. The X-Post is always cut to length for you. Contact your planner for advice on selecting the correct length of X-Post for your space. You will need to measure your ceiling height accurately, please. Our acclaimed planning guide describes the planning process in detail. Download it here.